Only the most elite Mandalorian warriors are chosen to pilot the Concord Dawn Protectorate Fang Fighter. Utilizing advanced pivot wing technology, the pilots of this craft were known for their bold maneuvers, often swooping in for head-on face-offs at close range. You can pull off your own daring moves in X-Wing Second Edition with the Fang Fighter Expansion Pack. Featuring a highly detailed pre-painted Fang Fighter miniature, this expansion also includes six Scum pilots who bring their own abilities to this highly maneuverable fighter along with four upgrade cards that provide additional customization options. 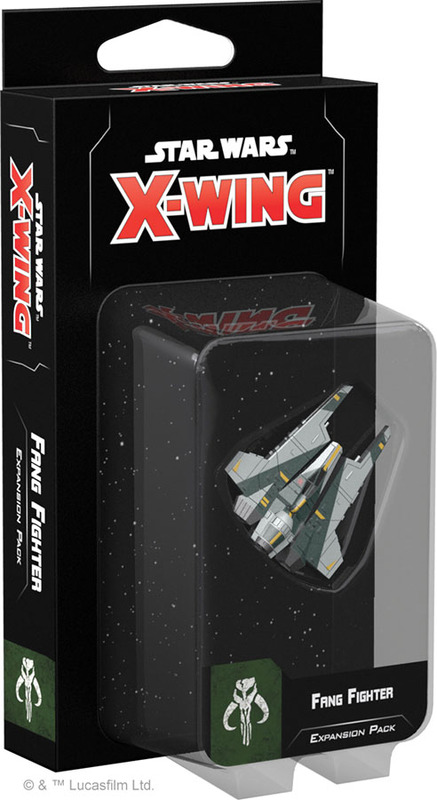 Bring the Scum and Villainy of the galaxy into the future of X-Wing with the Fang Fighter!.